Paige Sallis lives in Sherwood, Ark., with her husband, Ryan and chihuahua, Max. She has been in the employment industry for more than 10 years but is ready to put her love of Disney to work. Paige and her family first visited Walt Disney World when she was 11 years old, and she’s been going back ever since. “Each time we visit, there is something new and exciting that we haven’t experienced before. After many visits over the past 20 years, I learned how to hit the ground running and ride all the rides without much of a wait, and I’ve also discovered the more laid back side to Disney. They’re both equally magical. Ride the Tomorrowland Transit at night! Grab a drink and/or snack and enjoy the view of Illuminations from the France pavilion at Epcot. Ride Animal Kingdom’s Kilimanjaro Safari first thing in the morning. 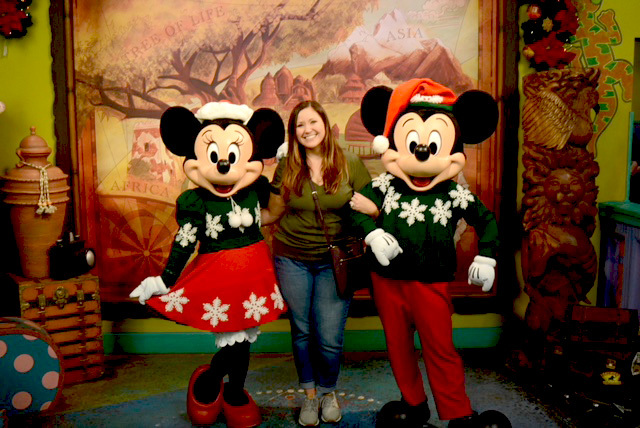 Paige would love to help plan the perfect Disney vacation for you and your family or friends. Please contact her at 501-541-4018 or psallis@smallworldbigfun.com.